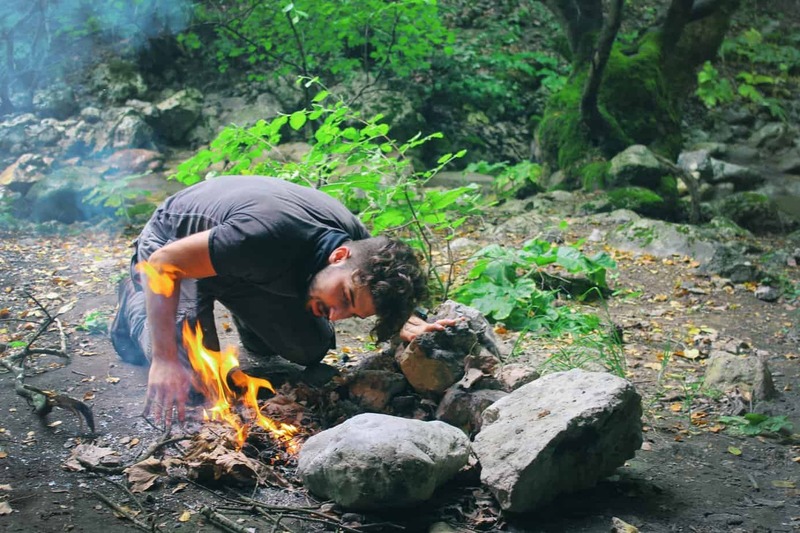 Kuhl is an outdoor apparel brand that does things a little different than other companies. They are well-known for producing high-quality apparel for various types of use and have a penchant for creating clothing that looks as amazing as it performs. Their line of men’s jackets has everything from light rain shells to more serious winter wear. Right in the middle is the Burr Jacket, a perfectly priced canvas piece that is right at home for everyday wear as it is out on a trail. The Burr Jacket is their approach to the quintessential canvas outdoor jacket. It has a hoodless design, distinctive stitching, and a few Kuhl original touches. If you take a more laid-back approach to spend time outdoors and you want to look good when you go hiking, the Burr would be a great model to consider. The Burr Jacket has that rugged, classic canvas look with some extra features and details to really make it appeal to anyone that spends time outdoors. Kuhl made the Burr with travel, hiking, hunting, and camping in mind. Compared to some other jackets, the Burr is more on the casual side – but only in terms of how trendy it looks. Just like any other jacket of theirs, Kuhl had the Burr constructed with articulation, movement, and tough materials in mind. Kuhl clothing is known for having flat seams, being made of quality materials, and for their unique approach to articulated stitching construction. The articulated shoulder of the Burr visually looks very attractive and even a little athletic, but it really improves range of motion compared to standard shoulder and sleeve stitching. The collar of the Burr is a little high, which offers neck protection in wind. It can be worn up and flattened down, depending on what you prefer. Being hoodless is either a pro or a con for individuals, but considering that the Burr is designed for travel and casual use as well it’s a bonus. You can easily layer a lightweight hoodie under the Burr if you wanted. The combination of various colors and sizes ensures everyone can find a combination that is attractive to them. The brass-toned hardware and Kuhl Patina is the final touch to making the Burr looks quite fashionable and handsome. Finally, having a retail of under $120 (Check out the latest rates here!) is an incredible deal considering the quality of this jacket. 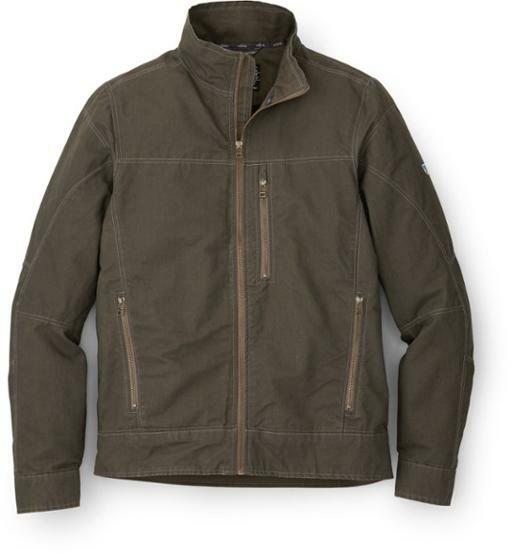 The Burr is a fairly simple jacket in design, but it performs well and is a Kuhl fan favorite. Here are the three main reasons why this jacket is so loved. Kuhl made the Burr for anyone looking for a jacket that looks nice but also performs well in the outdoors. The Burr is a dual-purpose jacket that looks quite attractive and is constructed with activewear in mind. The articulated shoulders, various pockets, and heavy-duty hardware all point to the Burr being ideal for hiking, mountaineering, camping, horseback riding, and other outdoor activities. However, the flat seams, various colors, and overall look of the jacket make it perfect for casual wear in the fall and winter. It can be tricky to find a truly dual-purpose jacket that looks fashionable and the Burr does it well. Canvas jackets sometimes get a bad rap for being stiff and uncomfortable. The Burr jacket is made of combed canvas that feels like it’s already broken in. To complement the exterior is the super soft micro-fleece lining. The interior of the Burr is mostly micro-fleece along with nylon. This makes the jacket very comfortable when in contact with skin (i.e. wearing t-shirt under it) and also is warmer than a smooth fabric. The arms are lined with Supplex Nylon, which is also very soft and isn’t cold to the touch like other Nylon or Polyester materials. Jackets designed purely for casual wear tend to have weaker stitching as they likely won’t be heavily worn in an outdoor setting. In contrast, a lot of jackets designed purely for outdoor wear can be a bit too bulky because of heavy stitching and thick seams. Kuhl found a great balance between both by giving the Burr a strong saddle stitch combined with low bulk seams. The end result is a nicely fitted jacket that will still outlast standard casual canvas outerwear. Here are two drawbacks to the Burr jacket that you might want to consider before purchasing. While the majority of customers find that the Burr jacket fits just as they expected, more than a few have also claimed that the Burr seems to run small. The Burr has an athletic, fitted design for a jacket, which is advantageous in that you won’t have a lot of extra material getting in your way as you move. Typically it’s larger individuals that seem to have this issue and usually, the jacket begins to feel a little snug if you try to layer heavily under it. While you certainly can layer under the Burr, it’s worth it to keep in mind that this isn’t designed for very cold winter temperatures and therefore isn’t designed with a loose fit to allow for heavy layering. While the fit issue seems to really not be too much of a concern, a number of customers aren’t happy with the pockets on the jacket. The Burr has a chest pocket and standard side pockets, all of which are zippered for security. This is a wonderful feature for any jacket designed for outdoor use, except for the fact that Kuhl made the pockets quite shallow. It can be difficult, or not possible, to fit your whole hand within the jacket pockets or stuff a thick pair of gloves in them. This is an odd weakness in the design of this jacket as typically Kuhl is very good about creating functional outdoor apparel. The shallow pockets alone aren’t a reason to not purchase the Burr jacket if you find you really like it otherwise. However, be prepared to have to stow gear like gloves, keychains, or your handheld GPS in your backpack rather than your pocket. 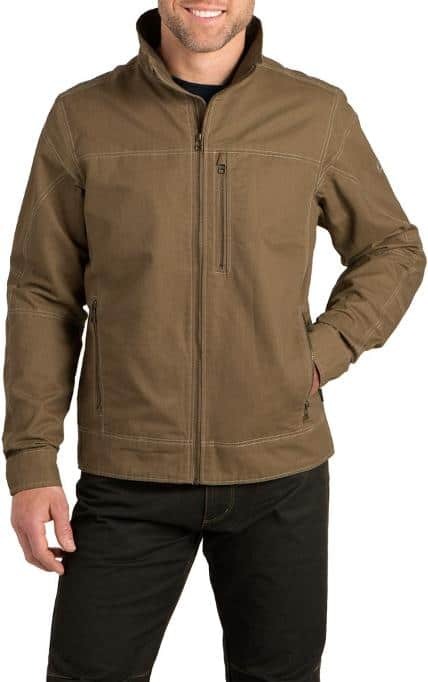 Kuhl’s Burr Jacket is a beautiful, nicely designed piece of outerwear that will look great out on hikes or camping trips and worn casually around town. 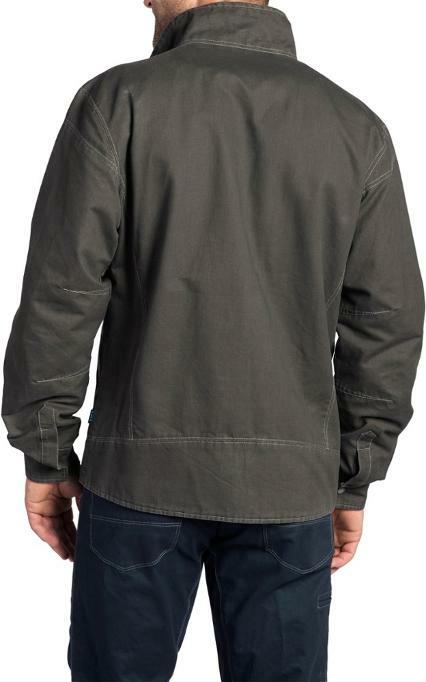 This mid-weight canvas jacket is rugged and will be long-lasting when cared for properly. 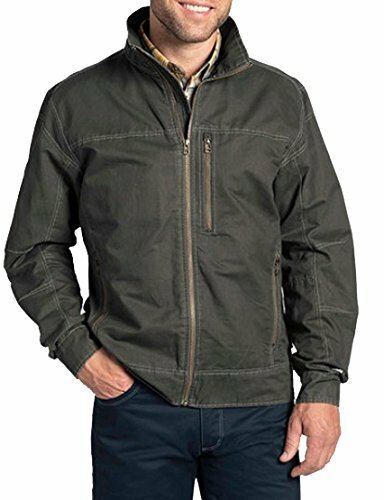 If you’re looking for a casual jacket that can handle wear-and-tear, the Burr would be a great choice. The Columbia Lake 22 Down Jacket Review: Yay or Nay? Find Out Here!